As we covered in a previous blog, that you can read here, at Learning Wonderland Preschool in West Palm Beach, we use the Creative Curriculum as a guide for our early childhood education. We believe in the importance of play in childhood. 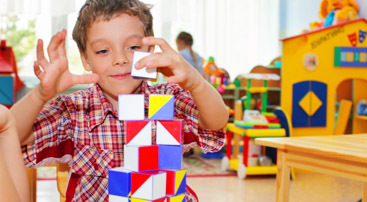 We firmly believe that free play (though organized to avoid chaos) encourages children’s social and cognitive development, as well as being a powerful player in a child’s sensory integration, a field of study that has revealed much about how children develop. Lest anyone think that children only play at our day care, we thought we’d cover early literacy skills in this week’s blog. 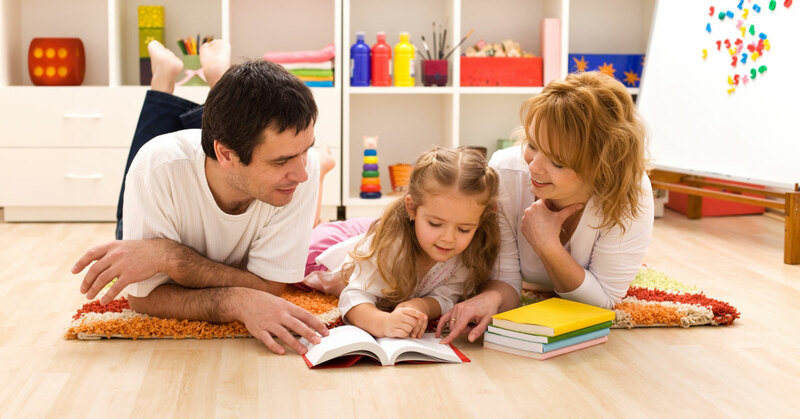 Early literacy skills start long before any formal training that we impart on our children. From the age that they can hold a book designed to be chewed on, they are interacting with literacy. Long before they learn what a letter is, they see parents and siblings reading and form ideas about reading. Literacy begins with spoken language, and when children are spoken to, even in infancy, they develop language skills that will serve them their whole lives. It is also important to listen to a young child and respond to them, even if they are just babbling. If you respond to a babbling infant, they are still learning how communication works: one person says something, the other person is quiet and listens, and then the other person speaks while they listen. It’s a subtle but valuable lesson for babies to learn. Additionally, using a wide vocabulary helps the language center of the brain develop, and children who are exposed to multiple languages benefit even further. Children who learn rhymes, songs, and to clap out syllables of words have an easier time with literacy later on. The next stage in early literacy is print awareness. While they may not yet understand what any of the print means, they can set the foundation for reading in this phase. The skills and knowledge picked up in this phase include knowing how books are organized. This means they learn in what direction books are held to be upright, that we open them on the left, and move to the right of the book, also, that the text in English goes from left to right. They can also learn that pages are numbered, and they can learn why we learn. They can be shown by example that we read for pleasure and to learn things. During this phase, they can be taught to recognize certain basic, common words such as a, an, the and you. You can label things around the classroom or home to teach them basic words. You can also teach them the basics of a future stage (phonemic awareness), so when they get there, they already have the coin in the proverbial slot. One example of this is “C” is for Cookie. In fact, Sesame Street has an entire alphabet of books that teaches children letters and sounds in a fun way using their familiar characters. Another popular toy that promotes literacy is foam letters for the bath. Children can handle the large soft letters and recognize them from their shapes. This is especially helpful for letters that share shapes and whose direction makes up the differences. These letters are “b” “d”, “p” and “q”. 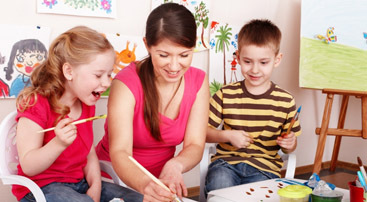 Phonemic awareness is the recognition that there is a letter – sound connection: that is, that every letter makes a specific sound. The English language offers up some challenges in this because while there are 26 letters, there are 44 phonemes or sounds. Some of these phonemes are made from a combination of letters. The confusion this can make is well illustrated by the ch sounds “ch” in chef, “ch” in choir, or “ch” in cheese. Research in literacy consistently shows a connection between educational success and phonemic awareness. 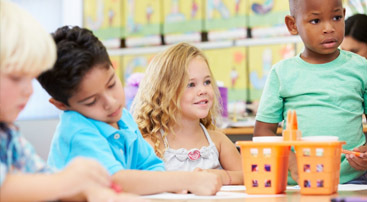 Children who demonstrate phonemic awareness, even if they have not yet learned to read, the odds are in their favor for literacy and success in academics based on reading. Phonemic awareness allows children to decode words, and as the words get bigger and more unfamiliar, they are still able to depend on phonemic awareness and figure the words out, and can often deduce the meaning from the context. As stated above, using the Sesame Street Alphabet series books is a good way to introduce children to letters and their sounds. But as children get older and closer to kindergarten, they can use the other modalities of learning. Modalities are the fancy way of saying learning style. You will probably remember taking an informal test to learn your learning style in school. The different styles are auditory, visual, kinesthetic and tactile. Putting these methods into practice is easy. Tactile learners love to touch things. You can get small plastic tubs and designate each one as one letter. Fill the tub with items that start with that letter. Let the child dump out a couple of tubs and sort the items into the tubs. For kinesthetic learners, you can fill a clean ketchup or mustard squirter with water and let them write the letters and say the sound on the pavement. For auditory learners, use a song, or make one up! For visual learners, books and pen and paper are good to teach them. If you feel that your child is not progressing from one stage to the next, remember that no child learns these skills in an orderly fashion, but rather they overlap phases, boing back to the well of basics as they progress. If you are still worried about your child, be sure to have their eyes checked and check with your pediatrician for advice. Learning Wonderland is happy to use the Creative Curriculum because it uses creativity and play to teach children the foundations of their lifelong learning. If you’d like to learn more about our day care and would like to schedule a tour of our facility, call us.